I’m an avid software writer, melodist, and rambler. My name is Mayur, but I sometimes go by the fun moniker Zorg. Feel free to reach out below. A Universal Game Trainer that allows you to cheat video games by searching and altering values such as your score, lives, ammunition, and much more. Virtual Memory Scanner for finding and altering values. Memory Viewer for displaying contents of memory in a hex-editor like fashion. Debugger for inspecting what instructions read/write to an address, or for stepping through a target’s execution. Scripting for writing programs that do real-time modifications and cheats. For documentation and development, visit the project page and wiki on GitHub. Check out some of the user contributed video tutorials too! 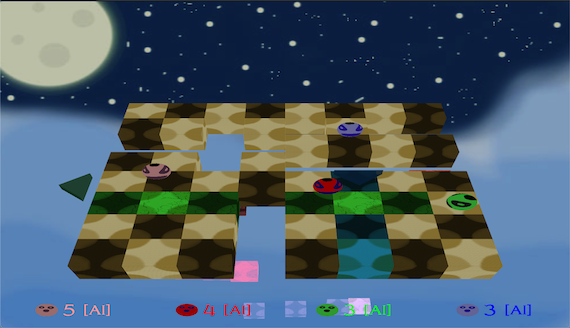 A multiplayer action-based battle game influenced from an old N64 Kirby mini-game. Knock off your enemies and be the last one standing! Notable features include AIs with configurable difficulty, gamepad support, local and online play (which uses UDP on port 4893). Older releases, source code, and Linux support can be found on GitHub. A commit editor for macOS that assists developers to create high quality commit messages with ease. This project thrives on contributors. Check it out on GitHub!